May 2013 Discussion Post: What’s Your Favorite Creepy Video Game? 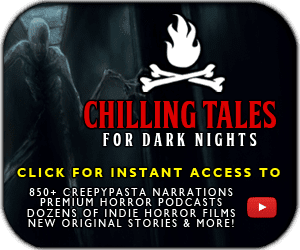 August 2016 Discussion Post: Which Creepypasta Do You Most Fear? For information about the writing contest that is acting as a companion to this month’s discussion post, please click here. In order to help everyone get inspired before the contest submissions open, this month’s discussion post will be a sort of gaming pasta general chat. Which tropes have been so overdone that they’re no longer redeemable? What do you think makes a quality gaming pasta? Do you think the age of haunted game stories is over, or do you still have an appetite for more? Do you find a specific type of game more suitable for creepypasta over others? Do you have any examples of worthwhile, enjoyable gaming pasta that you’d like to link and discuss? Please let us know your thoughts on such topics – or really any input you have on what makes a good gaming pasta.